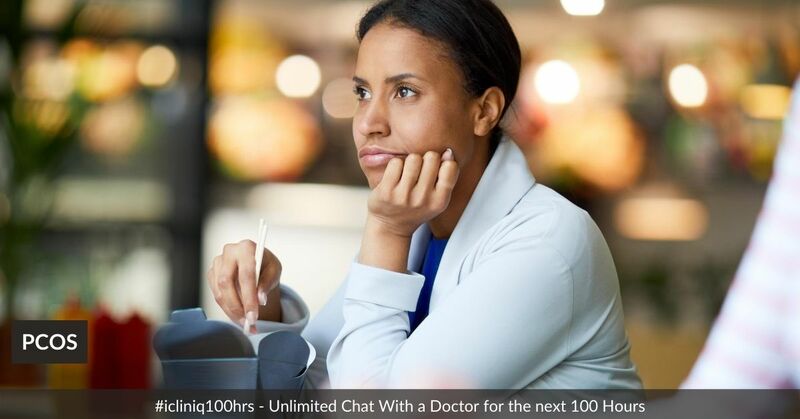 iCliniq › Ask a doctor online › Answers › Childbirth Educator › Delayed Conception › Will PCOS delay pregnancy? Q. Will PCOS delay pregnancy? I am 28 years old. My height is 5'4" and weight is 70 kg. We have been trying for pregnancy for a year. My husband's reports were all normal. I am having PCOS, but my periods are very regular. I am on Oxetol 300 mg for partial seizure since one year. I am also taking Metformin 500 mg thrice daily for five months. I have not used any contraceptive pills still now. My insulin levels are also normal. Please help me out. I am getting very much depressed. • Can ovarian stimulation for IVF be started on the fifth day of menstruation? Having seen your PCOS reports (attachment removed to protect patient identity), it is suggested that you should opt for controlled ovarian stimulation and intrauterine insemination procedure. It will increase your chance of conception by 20 percent as it would remove the cervical factor as a cause. You should be reducing your weight further and should opt for tablet Angelica on next consultation with your gynecologist and that would help improve your ovum quality as well. But, as you have already tried for five months I feel ovulation induction and IUI would be a better option for you. I got period in mid follicle stimulation cycle. Is it fine?